Top Five, Thrilling Rides at Disney World Florida! 2018. 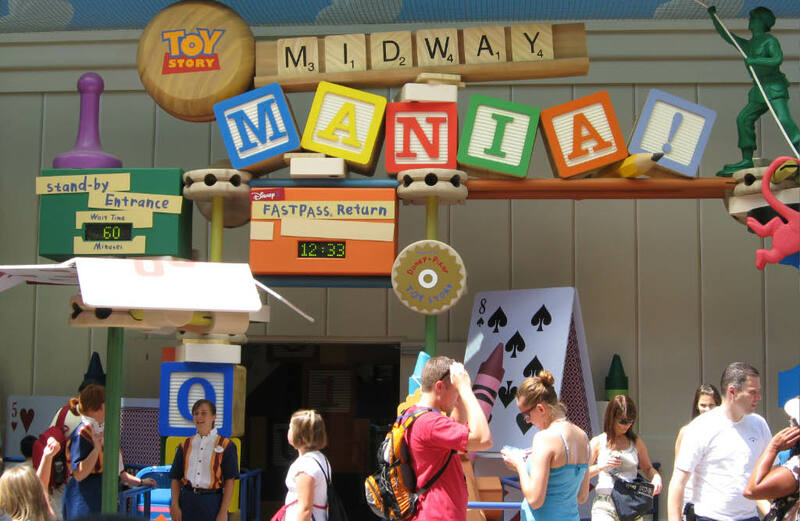 Disney has a ton to offer - and they do have thrill rides that rival Universal Studios, it's not all for the kids over at the mouse! When you read articles about must-rides at Disney World, you'll always find rides like the Haunted Mansion and Soarin' on them. Sure, the nostalgia is there and the 'IMAX' movie is fun, but really? We don't agree with those lists at all, and actually find those rides quite boring! They are just not the best Disney has to offer! We don't like looking at a screen, and we don't like slow moving rides! Hell, we didn't even put Rockin' Roller Coaster on this list, because it really isn't that good of a coaster. Did you know it has an outdoor counterpart at Walibi World in Holland? Yes, it is a ride that Six Flags once owned. Quite exciting, but by no means is it top 5 at Disney World! In addition, we aren't at a theme park to learn about the presidents. Pass. Anyway, here are some of the Amusement Insider crew's 5 personal favorites. Yes, a 60-minute wait is very common, so plan ahead. Well, we just said we don't like screens, but this is different! We love competition, and this ride is the best cooperative, cut-throat game there is. You shoot targets in an interactive, well-done-physics-wise game, where you do have to (sometimes) work as a team if you want the big bonus points. (A little elbow nudging is allowed if you agree on it before game time.) I'll leave you to figure out the scenes where cooperative work scores you major points. Ride more than once and your arm will be lifeless from the constant pulling of a wee rope. Seriously, I could skip the gym (if I ever went) and ride this thing daily for insane biceps. This is a ride that adults will go crazy for, and kids will love as well. The interactive guns all work the same, all the time, (unlike its sister ride at Phantasialand in Germany) and the 3D is top-notch, very clear, and not sickening at all. This ride is all about fun, it must be ridden! Anyone wanna bet me a dollar? A smooth ride made by Vekoma you say? Yes. This ride is slick and has everything you want in a coaster. While this coaster manufacturer may not be known for its smooth rides, Expedition Everest's track is smooth, well hidden from guests' views, includes exciting dark sections, has thrilling outdoor sections, and features a great pre-lift segment that gets you in a great mood. And while the Yeti during the final sequence may not move anymore, that takes little away from this exciting ride. Oh no, track's broke ahead. Expedition Everest may be one of the best-themed coasters in the world. Don't miss out on this excursion. Dinosaur at the Animal Kingdom is a ride you can ride over and over again and laugh and love every time. There's also more to notice each time you take the trek. The ride is loud, fast-paced, and incredibly well-timed. 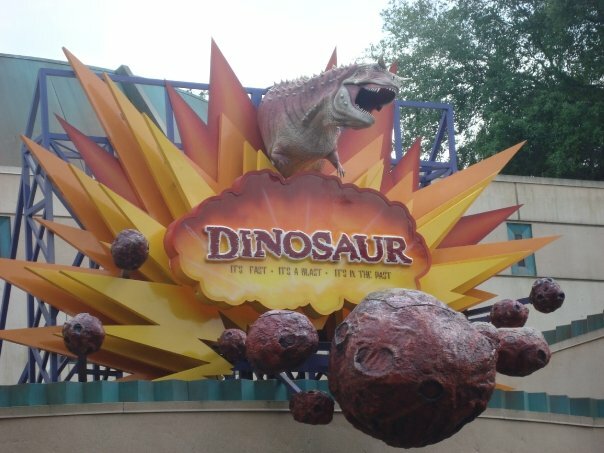 Overall one of my favorite dark rides in the world - Dinosaur has top-of-the-line theming with an awesome storyline. Somewhat Fun Fact: The yellow, white, and red tubes in the station are a homage to mustard, mayonnaise, and ketchup from the old McDonalds that used to reside next door. Quite possibly the best dark ride in the world. Especially if you are a fan of Dinosaurs. Prepare to be immersed like never before. Don't miss out on this ride if you are at Disney. The ride vehicles move perfectly in motion to what is going on around you, it's a dino-symphony. Truly exciting over and over, the more you ride this ride the more you'll love it, we guarantee it. Dinosaur is seriously good fun where you can scream as loud as you want because the audio is so loud, (in space) no one can hear you scream. Do not miss this ride! This old coaster is another ride that just gets better and better as you ride it. It's long, dark, and handsome thrilling. The ride seems faster than it is with the dark near-misses. It's truly incredible that this ride is so old, it is one of the best rides in the world. Wwwmm, wwwmm, wwwmmm. Go ahead and touch the ceiling during this segment, if you want a nice friction burn on the fingers. Theming is top-notch of course, this really is a ride that gets better each time you take the journey into space. Sorry EPCOT, no top rides for you (yet! Looking at you, Guardians of the Galaxy). The top 3 rides we've chosen for this list are all truly incredible rides that use real-life props in place of screens and virtual reality. Tower of Terror has an incredible queue with a pre-show that will never get old. The main ride is shorter than some would like, but the build-up is so good that it's all worth it. The random ride sequence is awesome and is what places this ride atop our list. It keeps you going back for more as you hope to get your favorite sequences during your travels. The Hollywood Tower's colors are loosely based on the colors in Morocco at EPCOT. While in EPCOT, you can see the ride so clearly behind the Morrocan-themed land, the building was painted similarly to blend in. There are some great secrets at Tower of Terror to get you to the front of the line or warrant you a re-ride if you do something at the ride that coincides with the storyline of the movie. But you won't hear it from us. Have a fun vacation at Disney, and please don't miss these rides whatever you do! They all need multiple re-rides to truly appreciate them, something Disney World does better than any other park.